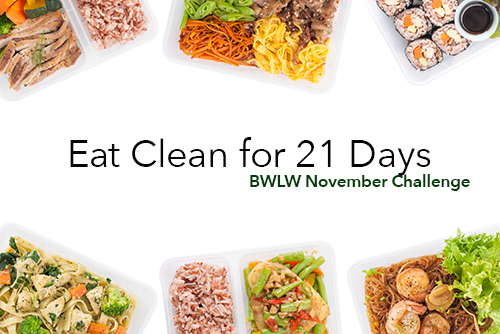 We are in Week 3 of our Clean Eating Challenge! Below you’ll find this week’s list of resources, recipes and tips for making clean eating a lifestyle and not just temporary change. “Things are going good. I lost five more pounds.” – Kimberly S.
“According to my WW records I lost 3 pounds.” – Drellar A. “I’m down 1.5 and it has been challenging, but I just keep moving! Come on ladies, we can do it!” – Dawn H.
“I’m down 2.5 pounds.” – Tina M.
Also, the participants in our November DietBet have lost 310 pounds combined so far. If you haven’t given your all or made the decision to clean up your eating habits, the holidays are the perfect time to start. Why? The average overweight or obese person gains up to five pounds over the holidays. If you’ve already been eating in a way that causes you to gain weight, add 4-5 more pounds to that scenario and you could see significant weight gain. “People tend to gain weight — about one to two pounds on average, according to several studies. So holiday weight gain may not be as dramatic as it sounds. Before giving yourself license to eat whatever you want this week, do the math: One or two pounds a year can add up quickly. What Can Your Do to Stop Emotional Eating? Affiliate links are included for the books/magazines. We receive compensation when purchases are made via our links. What are the best eating clean book(s) to purchase?